A bestselling author and expert on the psychology of business asserts that true leadership success depends on mastering the emotional power others have over your personal and professional wellbeing. As a psychologist, leadership consultant, and coach, Dr. Henry Cloud's practice focuses on human performance, or how people can do better: Individuals, teams, and organizations. Conventional leadership coaches help leaders build skills and close performance gaps. This is important work, but, according to Dr. Cloud, it only takes you so far. Through engaging case studies and compelling findings from cutting-edge brain research, Dr. Cloud persuasively argues that what separates truly great leaders from merely good ones is how they leverage human relationships, in good times and bad times, to overcome their personal limitations. Whether you're a Navy SEAL or a corporate executive, outstanding performance depends on maximizing positive connections to fuel personal growth while minimizing toxic ones. The truth is that other people do have power in your life. For better or worse. But what kind of power will you allow them to have? Will they enhance your performance? Or diminish it? Consider the boss who squashes your new idea vs. the one who helps you reshape it; a coworker who gives you honest feedback vs. one who gossips behind your back; a colleague who seeks solace in partying rather than in confronting his insecurities; or a spouse who sets appropriate boundaries on work-life balance vs. one who silently resents your success? Bad connections, good connections, or no connections at all-this is the power of "the other." Other people exert power at every step of your career and your life; they influence you as much as you influence them. You can't master other people, but you can become a master at forming healthy and long-lasting connections that will help you surpass whatever limit you are currently experiencing, or will ever experience in the future. That's your choice. 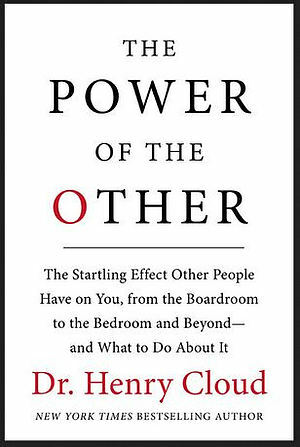 The Power of the Other by Henry Cloud was published by HarperOne in June 2016 and is our 69570th best seller. The ISBN for The Power of the Other is 9780061777141. 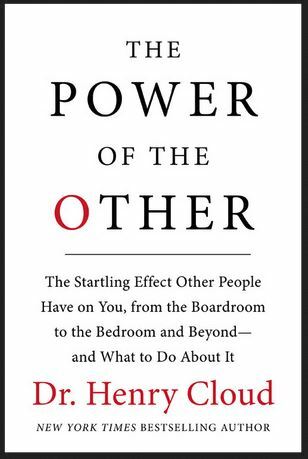 Be the first to review The Power of the Other! Got a question? No problem! Just click here to ask us about The Power of the Other.